The Library has recently purchased access to Medieval Family Life, a collection of letters and manuscripts from c1400-1490. Only five major letter collections exist from fifteenth century England and they are all available for the first time in this resource. These letter collections and associated manuscripts take you into the world of medieval family, business, relationships, trade, politics and community. Medieval Family Life contains the letter collections of the Paston, Stonor, Cely, Plumpton and Armburgh families. The Paston letters are the best known of the five families and are the largest collection with hundreds of documents and letters exchanged between different family members. Their letters document the life of a gentry family during the War of the Roses. The Celys were a merchant family and crucial players in the wool trade between England and the Channel ports. The Stonors were a well-established gentry family in Oxfordshire and Buckinghamshire. The Plumptons were a dominant northern family and the Armburgh family material is primarily concerned with a dispute over a family inheritance. Medieval Family Life contains full colour images of the original medieval manuscripts that comprise these family letter collections along with full text searchable transcripts from the printed editions, where they are available. The original images and the transcriptions can be viewed side by side. Letter to William Paston (1426? 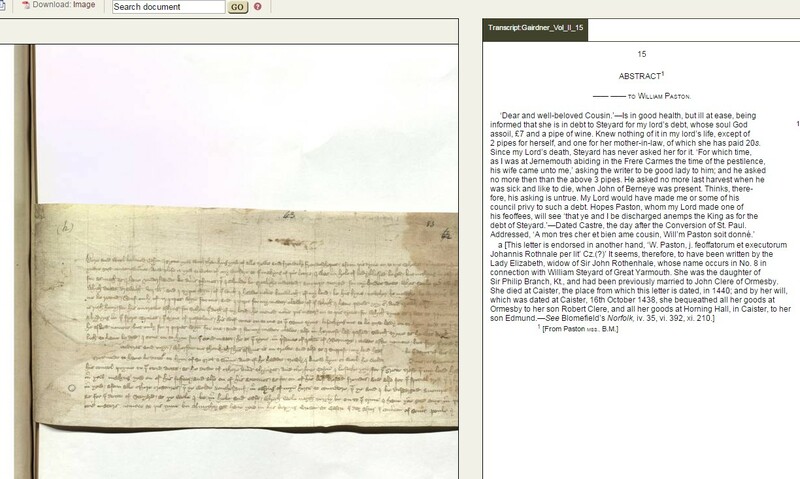 ), showing both original scanned document and transcript. Along with the letter collections there are many additional features useful for teaching and research, including a chronology, an interactive map, family trees, etc. 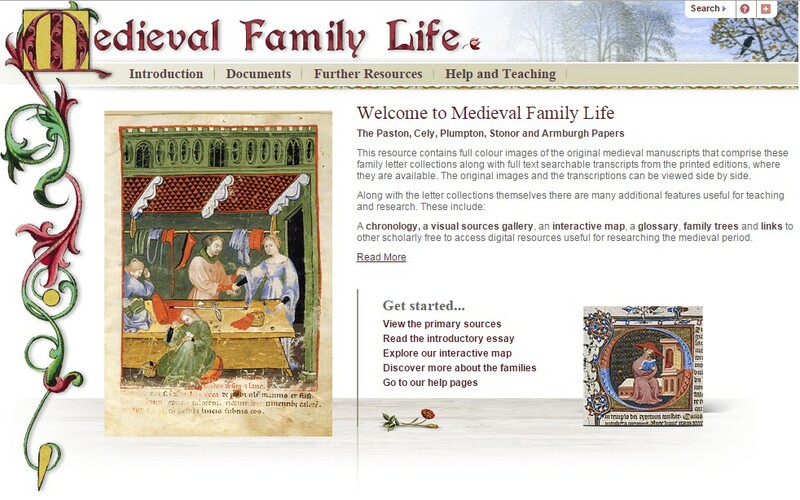 You can access Medieval Family Life from the Databases A-Z list or History databases list. This resource is only available to students and staff at University of Edinburgh. This entry was posted in Library, New, Online resource and tagged 15th century, Databases, History, Letters, Manuscripts, Medieval, War of the Roses by cstirling. Bookmark the permalink.